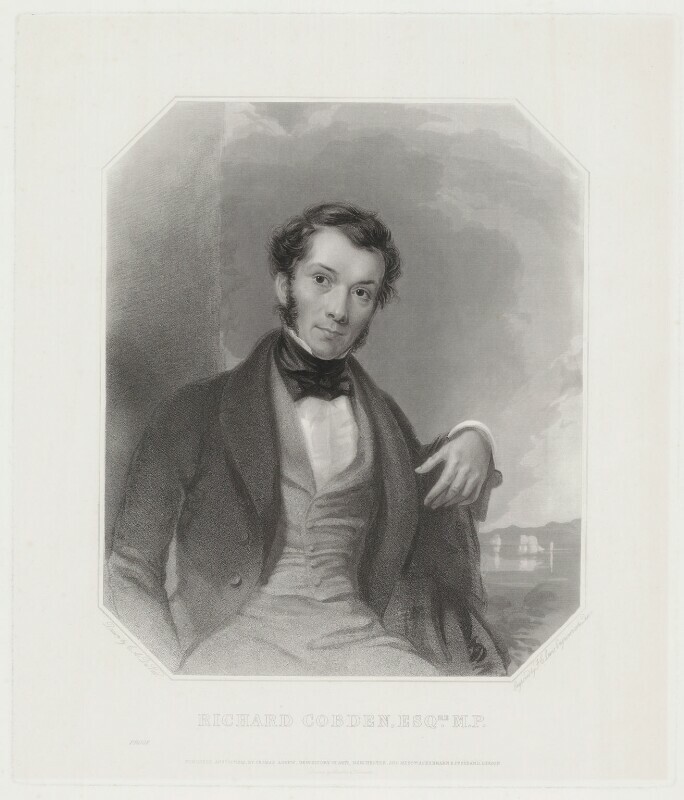 Richard Cobden (1804-1865), Politician; MP for several constituencies, manufacturer and free trade campaigner. Sitter in 50 portraits. Sir Henry Cole commissions 1,000 copies of the first Christmas card, designed by John Callcott Horsley. Cole would later be instrumental in staging the Great Exhibition, and in developing science and art education in Britain. Nelson's statue, by E.H. Bailey, is placed on top of its column in Trafalgar Square. The Theatre Regulations Act is passed, abolishing the privileged position of the 'major' theatres which held letters patent from the crown, allowing all theatres to perform 'legitimate' theatre. First volume of Ruskin's Modern Painters published, praising Turner and demanding that artists should demonstrate 'truth to nature' in their work. Ruskin is a great inspiration to the Pre-Raphaelites. The first experimental telegraph wire is constructed between Baltimore and Washington, using Morse code to send a message. The code, in which pulses of current deflect an electromagnet, moving a marker and producing written codes on a strip of paper, had been invented by Samuel Morse in 1838. The line officially opens in 1844.